While the Teen Mom 2 world has been waiting for this for a while, it’s finally happened. 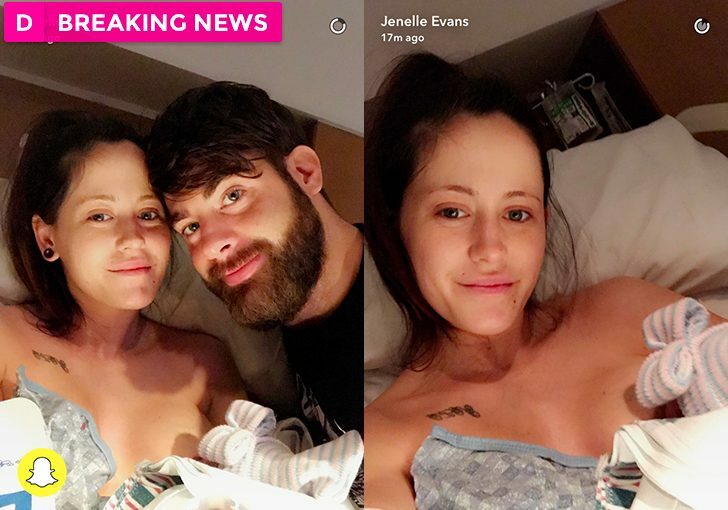 Jenelle Evans took to Snapchat this morning to announce she’s given birth! Evans shared the two pictures we have included above of her new addition to her family, baby girl Eason. As we recently reported, Evans was caught on this week’s Teen Mom 2 episode denying she was pregnant. We wish Jenelle, her boyfriend David Eason, and the new baby the best!